Glo-Golf is the name of the game and everyone, regardless of handicap, plays, unless there’s a snowstorm! (Hey! This IS Western New York!) Golfers spend the first few hours playing in daylight, break for a buffet dinner and play the rest of the game under the stars. Like, it’s going to be dark. Putting for Penguins, an annual event, benefits the Aquarium of Niagara. For the last seven years, the Aquarium has held this special fundraiser to support the non-profit educational attraction and its residents. It doesn’t matter what level of skill you have, novice or experienced, join in the fun Friday, July 19th, at the Newfane Pro-Am course at 2501 N. Main St. (Route 78). The event starts with registration and putting contest from 4:30 until 5:45 p.m. A buffet-style dinner begins at 5:45 p.m. Nine holes will be played in a scramble or best ball format. At 9 p.m., there will be raffles, prizes and awards followed by the last half of golf in the dark with Glo-Balls and “light ropes” at 9:30 p.m. 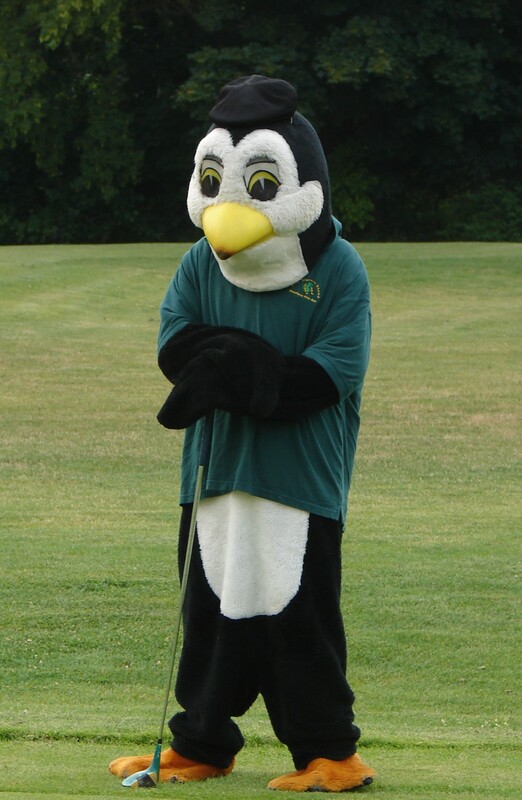 Putting for Penguins chairman is Steve Kling, an Aquarium board member. Kevin O’Neill of WGRZ Ch. 2 is celebrity chairman. Beaker the penguin, the Aquarium’s mascot, will be there, too. Deejay Pat Proctor will play music to golf by or, if you prefer, to howl at the moon by. Golfers should register by July 15th. Call 285-3575, Ext. 206, or sign in by 5:45 p.m. that day. Entry fees are $80 per golfer; $320 for a foursome. Party only is $30. Several sponsorship levels are still available. Individuals, corporations and businesses can call Gay Molnar at 285-3575, Ext. 204 to become a sponsor or to donate a prize. Don’t forget flashlights and bug spray. More information also is available by calling the Aquarium.